If you’re buying a home or condo in 2018/2019, you’ll want to buy your mortgage online. The success of online shopping via Amazon tells us consumers enjoy the experience of shopping around. The economy is improving and mortgage rates will rise. Shopping online means time saved, no sore feet, no parking hassles or traffic stress, nor gasoline prices to fret over, better prices, and infinite selection makes shopping online compelling. Shopping for a cheaper mortgage should be that way too. Instead of accepting your own bank’s tired high interest offering, you’ll enjoy saving thousands by shopping online for a lower mortgage rate. Yes, they will grow by the week, but that doesn’t mean you can’t break free of the rising costs, by switching mortgage companies and locking in at a guaranteed rate that will save you thousands. Better terms, lower monthly payments and lower fixed fees will make this process an even more palatable one for you. 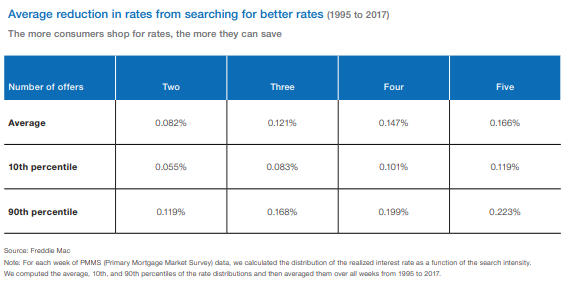 As you’ll find out below, when homeowners search for a better rate, they generally get a lower mortgage rate quote of an astonishing 5 to 22 points! And that translates to an average savings of $2,914 if the borrower receives 5 mortgage rate quotes. On a 30 year 5% mortgage rate on a $500,000 home loan, the savings are even bigger. By Shopping around yu ensure you don’t get sold a product you don’t really need. Along with lower rates, shopping for mortgages with lower broker or financing fees gives you more than enough justification for shopping around online. You’re on your computer or mobile phone! Fight back against the banks high rates by shopping right now. You can ask about terms, rates benefits, and anything you don’t understand with those offering up a mortgage quote. Shopping online takes a lot of the friction, uncertainty, and effort out of getting the best mortgage possible. This summer, everyone’s thinking mortgage quotes because rates are rising. This rise will affect your mortgage approval, home refinancing rates, Heloc application, debt refinancing, and much more. The banks are becoming more rejecting so it’s time to widen your search using all channels, including mortgage brokers. The Freddie Mac survey shows us the value is there. And you don’t want to wait for nasty surprises that could see you lose your home. “Won’t my bank give me the lowest rate possible?” Why would they give you a rock bottom rate if you’re going to renew without asking? They’d be cutting their own big profits. Questions: Does shopping around actually create a significant difference? In these graphics courtesy of Freddie Mac’s recent mortgage shopping report, buyers saved at least 10 points on average (orange and green dotted lines) and some as much as 22 points. The more questioning and persistent you are, the further the savings you generate. In the US, rising mortgage rates are a concern. Mortgage applications dropped for a 4th straight time since March and that’s weighing down the US housing market. Tighter lending, bank reluctance, and higher rates will mean refinancing your mortgage will cost hundreds to thousands more in 2019 and 2020. How many days does it take you to earn that money? Cost of living is about to rise. With inflation on the upswing, flat home prices, and gasoline and oil prices being forecast to rocket, the next year could bring pain and stress for many homeowners who need to refinance. The big banks have owned the mortgage market since 2008, but Freddie Mac is supporting non-banks who are providing mortgage related financing to more consumers. Quicken Loans, Freedom Mortgage, LoanDepot, and Caliber Home Loans are just a few of the other new online mortgage loan providers competing for your business now. There are many more in addition to brokers and banks. In Canada, around 47% of all existing mortgages will need to be refinanced this year, according to CIBC estimates. And that’s up from the 25 to 35% range in a normal year. Canadians will be in a rush to capture better financing and they’ll likely be switching mortgage lenders to get it. Dominion Lending for instance is seeing big growth but they’re also rejecting more mortgage applications. Rising interest rates and tighter lending regulations in Canada combine with very high consumer debt levels, making it tougher for Canadians to qualify for and get mortgage refinancing they can afford. This could make for more volatility in the Toronto housing market and Vancouver housing markets. 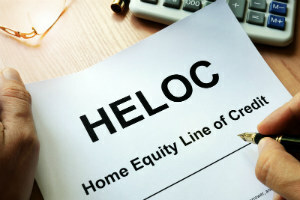 For the first time in a long while, borrowers are nervous and concerned about refinancing rates they need for home loans, HELOCs, and to repay off debts. These higher financing rates are expected to set off a cascade of housing and financial issues across Canada. The Fed is expecting to raise interest rates slightly and the housing market isn’t expected to cool much. Any rise in rates right now however creates a significantly higher monthly payment. Check the mortgage rate calculator to see how much your monthly payments will rise when rates go up a further 1%. 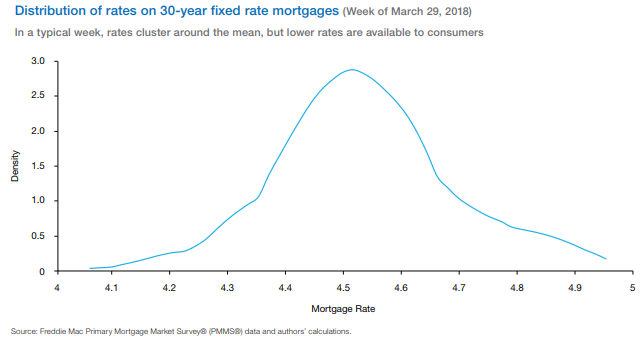 If we look at this graphic below, we can see how far up mortgage rates could rise again. The small increases in mortgage rates right now seem cheap in comparison with the early 1980’s. However today’s home prices are significantly higher and wages are lower in comparison. Homeowners in New York, San Francisco, San Diego, Los Angeles, San Jose, Seattle, Toronto and Vancouver will feel the most pain. Since early January, mortgage rates have been rising fast. With inflation creeping upward, wages rising and housing construction growing stronger, more American will be buying real estate. You shouldn’t be accepting your banks offer without looking at what the secondary financing market can offer. A savings of a couple of points on a 5 year fixed term or a 30 year fixed rate loan is nothing to sneeze at. 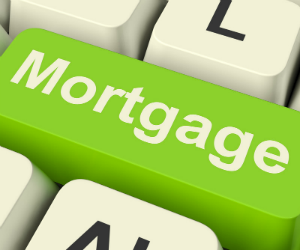 Checking a mortgage broker in your city is just plain wise and there are many advertising online. You’ll have access to better mortgage benefits and find a lower mortgage rate. If money is a commodity and there’s plenty of mortgage lenders, then it’s all about finding the lowest mortgage rate quote. Of course, those rates won’t just jump out at you. You’re going to have to do some searching for a better quote online. According to Freddie Mac, borrowers received rate quotes ranging from 4.2% to 4.8%. That’s way a patient search process is vital for you to get the best deal. 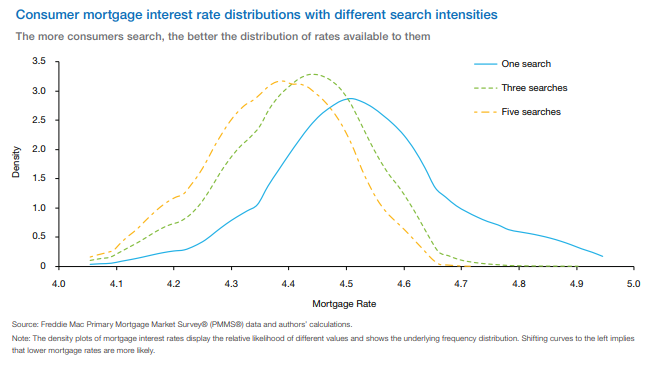 Good Luck with Your low rate mortgage search. Bookmark this page because it will be updated with more news on mortgage rate savings! Trending in 2019 2020: US Economic Predictions 2019 | SuperBowl Game | Real Estate in Canada | Real Estate Investment 2020 | Oil Price Predictions | Mortgage Refinance Rates | Homes for Sale | Apartments for Rent in San Francisco | Toronto Housing Market | Boston Home Prices 2019 | Florida Housing Forecast 2020 | Tampa Housing Market | Los Angeles Real Estate Forecast | New York Housing Prediction 2020 | Real Estate Economics | Housing Market Forecast 2020 | Houston Housing Predictions | Seattle Housing Forecast | Miami Condo Forecast 2019 | Seattle Real Estate Prices | Alberta Housing Forecast | MLS | Should I Buy a House? | Stock Market Crash Indicators | Auto Insurance Comparison | Mortgage Calculator | Mississauga Real Estate Forecast | When should I Sell My House?